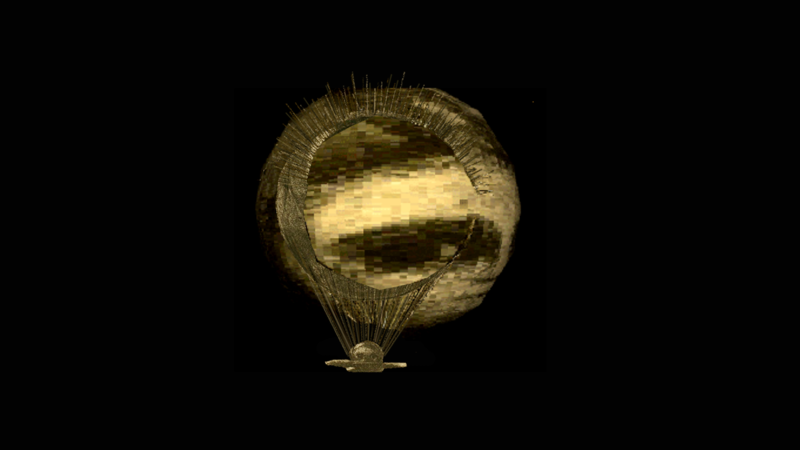 Eye-Ballon is one of the first online 3D environments created for art that creates an audiovisual information space inspired by the work of French symbolist artist Odilon Redon. The work re-interpret Redon's work of an eye that act as a ballon carrying a cut head. 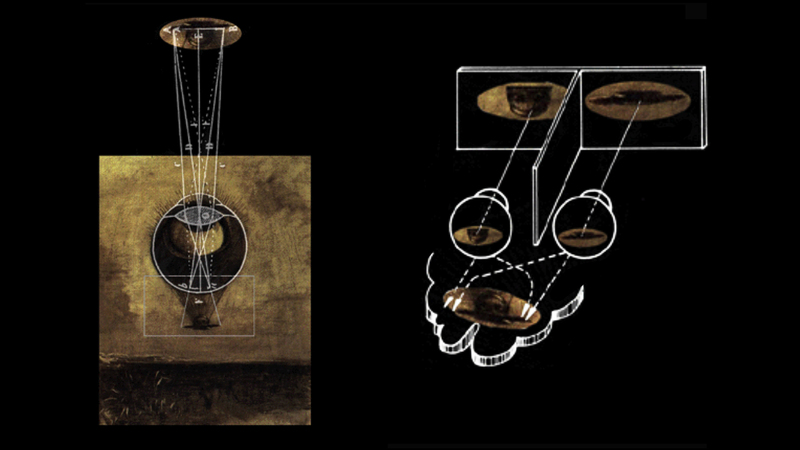 Overlaying a scientific illustration of an eye with Redon's illustration, the cut head can be interpreted as the mind's image of the outside world. This 'outside world' is the starting point of this new virtual . 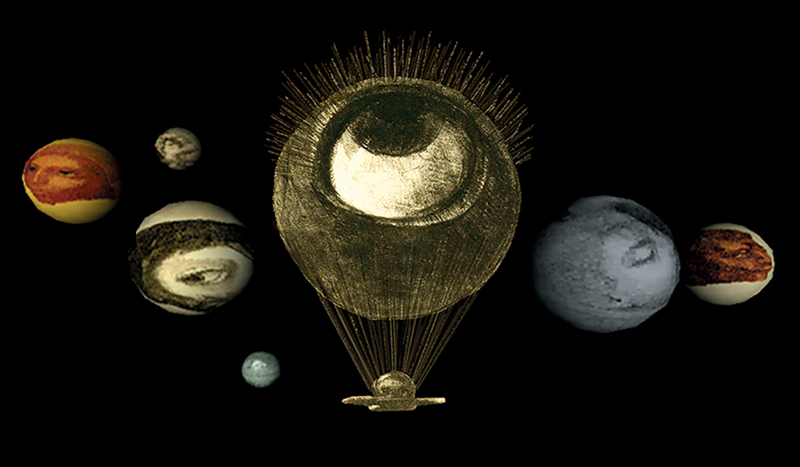 Inside the virtual space, the eye-balloon is a navigation device in which we can ‘travel’ through Redon’s work. While navigating along the diverse interpretations of heads through Redon's work, simultaneously we might also get acquainted with their audio and text inspirations, the poems and short stories of E. A. Poe. Redon dedicated his early work to Poe. 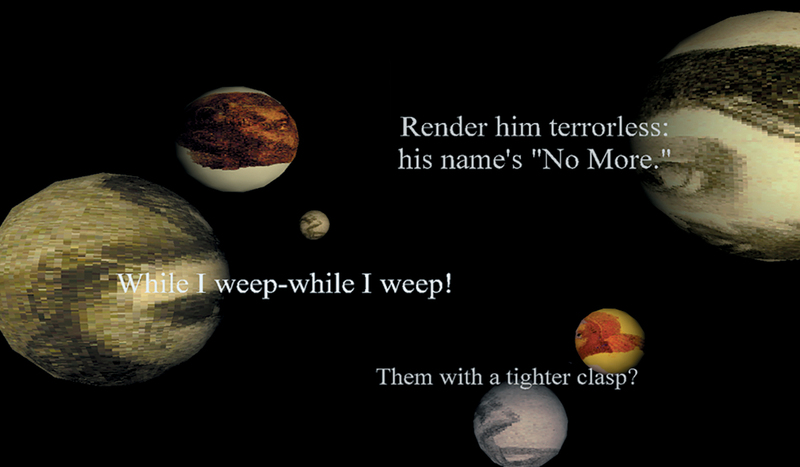 The audio and text composition is an interpretation of Redon's work and enables a multi-sensory experience of both, Redon and Poe's work. Since the viewers animate the space as well as the information inside that space, they are confronted with possibilities of association that are unique to them.